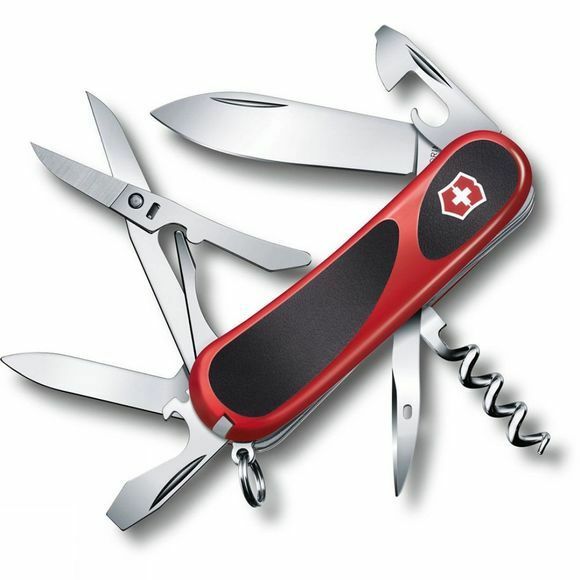 The EvoGrip 14 Swiss Army Knife features a 63-millimetre stainless steel blade, lever-design serrated scissors, and eight other implements, and performs a total of 14 functions. The ergonomic handles of the EvoGrip 14 are embedded with non-slip rubber in the four major areas that come in contact with your hand. This improved grip results in increased safety, performance and efficiency. The EvoGrip 14 is a perfect blend of modern advancement and versatility.